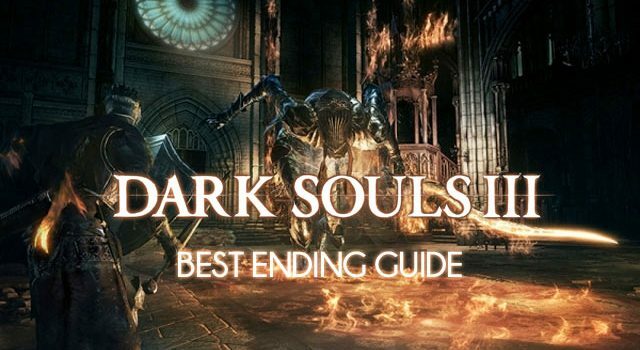 Our How To Get Dark Souls 3 Best Ending Guide will help you land the game’s “best ending”, Usurpation of Fire (or The Lord of Hollows). There are a number of different variables that influence which ending you get, although it’s encouraged that irrespective of the ending you unlock, you play through the game more than once and at the very least try out NG+. The “default” ending is about as simple as it gets. If you finish the game without having all eight Dark Sigils, and if you lit the bonfire after defeating the Soul of Cinder final boss, chances are you’re going to get this boring old “default” ending. Okay, it’s not really “boring”, but there’s a lot more to learn and earn in Dark Souls 3. Don’t worry if this is what you end up with: finishing Dark Souls 3 is no easy task, so take pleasure in knowing you’ve gotten through it. There are a number of things you’ll need to do in order to unlock Dark Souls 3‘s True Ending. At the end of the Consumed King’s Garden area, enter through the secret door. Defeat the boss “Oceiros” (aka. The Consumed King) and light the bonfire. Head across the boss arena and open the doors to head down. Take out the nasty Serpent man and open the chest to get a Titanite Scale. Attack the wall behind the chest to reveal a passage to the Untented Graves. Take out the Champion Gundyr boss and head into the Fireline Shrine’s dark area. Look for the spot where the Irina of Carim normally sits. This area is very similar to the normal Firelink Shrine so you should have no problems finding your way around to this point. But if you struggle, head down the stairs to the right and take the far path. Attack the wall where Irina is normally found to reveal a passage and the Fire Keeper’s Eyes. Head back to the Fire Keeper at your Firelink Shrine and hand over the Fire Keeper’s Eyes that you took in Step 8. Take out the Soul of Cinder boss, and then summon the Fire Keeper. This ending can be achieved by following the True Ending steps above. The only difference is when you get to Step 10. Rather than letting the ending play out, you need to kill the Fire Keeper. When the final cutscenes ends, watch the flame in the Fire Keeper’s hands. There is a very, very brief moment just before the flame dies out that you gain control of your character. Use this moment to kill the Fire Keeper and earn the Bad Guy ending. 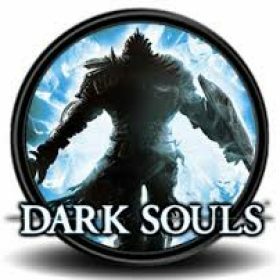 In order to get the Lord of Hollows or Usurpation of Fire “best” ending for Dark Souls 3, you’ll need to defeat the Soul of Cinder final boss with eight Dark Sigils. Read on to find out how to get them. Ensure you complete the below steps before you beat the final boss. Note that some steps also have prerequisites and need to be completed before other tasks. Travel to the Foot of the High Wall bonfire at the start of the Undead Settlement. Head down the stairs and take out the Starved Hounds. Head back in the opposite direction away from the gate. At this point, Yoel of Londor will speak to you. He’s a pilgrim you can find on the right side of the area. Head over to Yoel and accept his offer of service. Use Yoel to level up your character five times before you reach the Catacombs of Carthus. This will raise your Dark Sigil count to five. Ensure the Fire Keeper never heals your Dark Sigil. Allowing this will ruin your aim of the best ending. 3. Speak with Anri twice in the Halfway Fortress bonfire, which is in the Road to Sacrifice area. 4. Take out the Deacons of the Deep boss in the Cathedral of the Deep. Speak with Anri against when you meet her at the Firelink Shrine. 5. In the Irithyll of the Boreal Valley, take out the Pontiff Sulyvahn boss. 6. Speak with Yuria at the Fireline Shrine (found near poor old Yoel’s dead body), at which point she will tell you that preparations for the Rite of Avowal are complete. If she doesn’t, speak with her until she does. 7. At the end of the Irithyll of the Boreal Valley area, chat with the Pilgrim. You’ll find him in the room down a corridor, just ahead of the Anor Londo area. You’ll receive the Sword of Avowal. 8. At the far end of Gwydolin’s chamber, down the hall away from where the Pilgrim was, perform the Rite of Avowal with Anri (marry her). This will land you three more Dark Sigils, bringing your total up to eight.